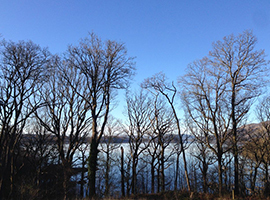 The Spring 2016 meeting of the Scottish Freshwater Group followed a different format to normal and was hosted by the University of Glasgow's Scottish Centre for Ecology and the Natural Environment (SCENE) at Rowardennan. Day One consisted of presentations and posters while there was a second day of Bioblitz events. The 97th meeting will take place on Thursday 27th October 2016. Talks will be held in Lecture Theatre LT2V1 and poster demonstrations in room 2v2 in the Cottrell Building, University of Stirling. 13:50 Iain Sime: "Scottish Freshwaters picture quiz – the results!" The next meeting of the Scottish Freshwater Group will be on Thursday 20 April 2017. To offer talks or a field visit to a demonstration restoration site or another BioBlitz event, please contact Pauline Lang.